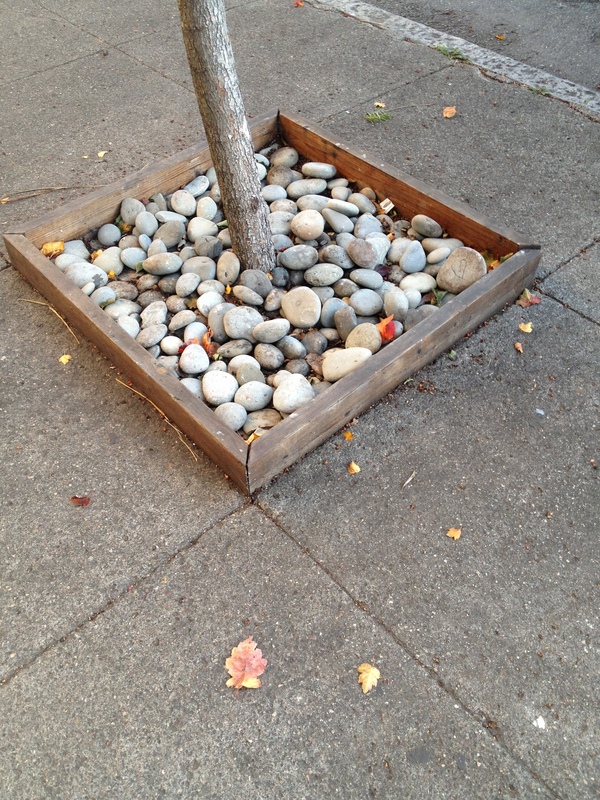 It’s not good to have soil surrounding a tree trunk like that but the walls of the box seem nice and sturdy. And I like the horizontal slats. 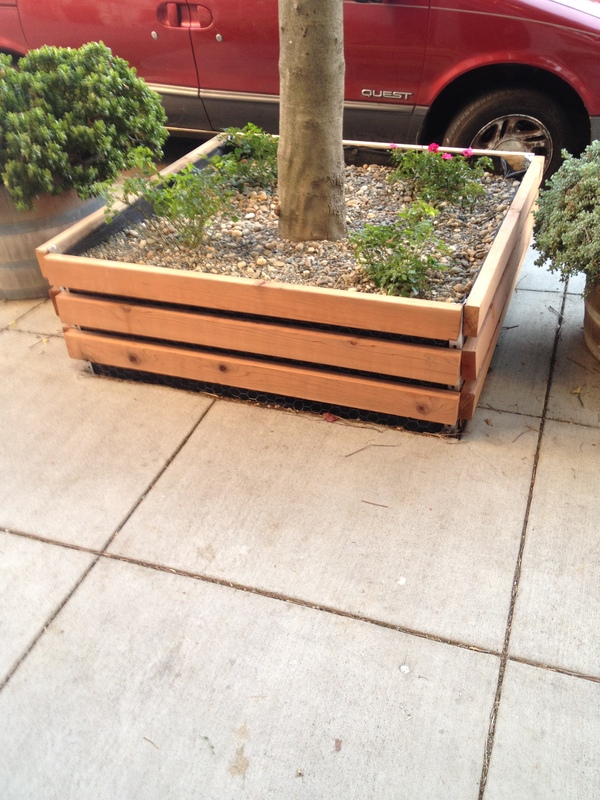 A simple wood edge is okay if the main goal is to keep your mulch enclosed. 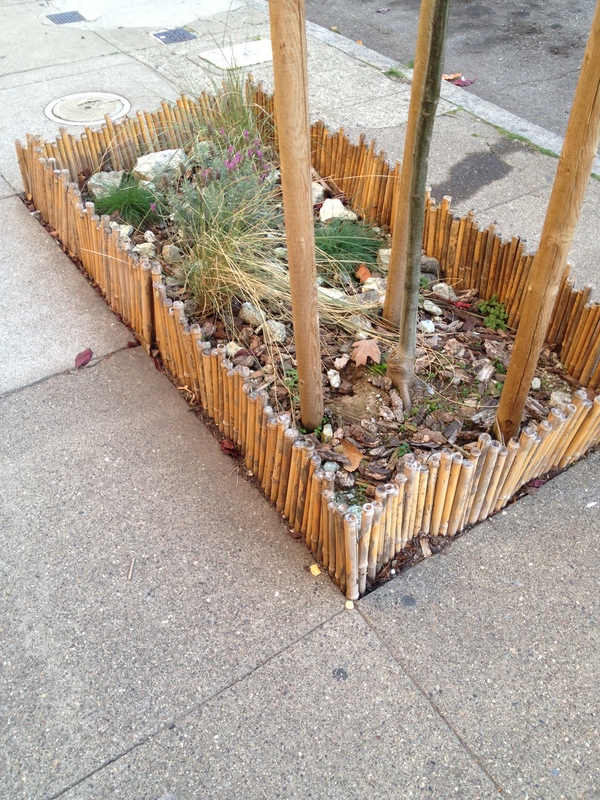 It won’t protect delicate plants but keeping the wood in contact with the ground seems to give the border enough support to withstand regular sidewalk traffic. 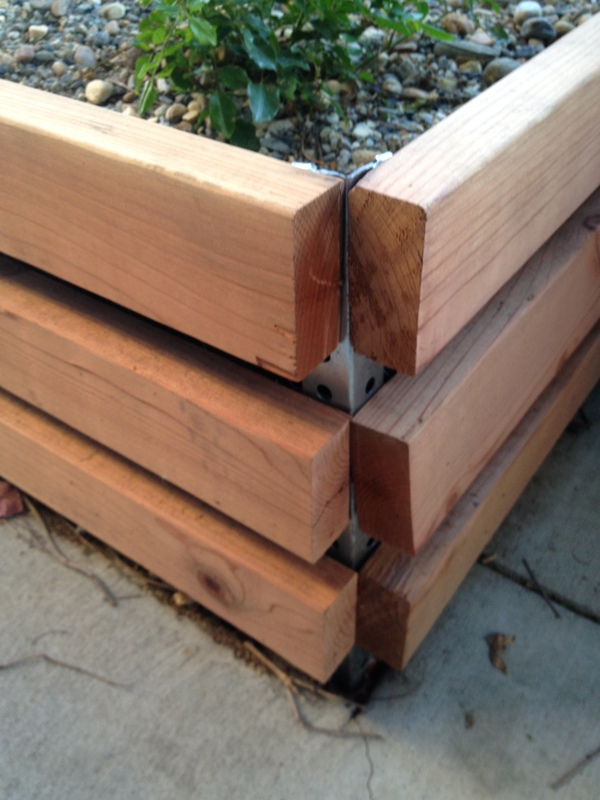 I’ve seen other wood barriers raised up on posts and they get damaged quickly. I’m really surprised this one is still standing. It doesn’t seem strong at all … we’ll see what happens in a couple months.